This beautiful family reference from National Geographic tells the story of America through its presidents, revolutionaries, visionaries, inventors, entertainers-and even its most notorious villains. 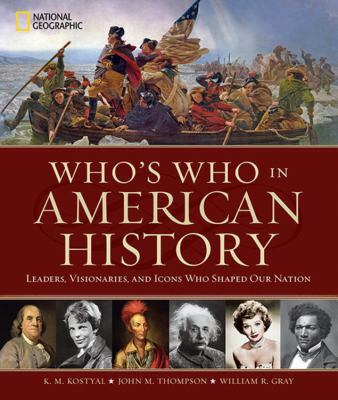 Far more than an encyclopedia, this treasury tells the rich stories of the people who made America's history-and adds context with lush photographs, illustrations, timelines, artifacts, and more. Beginning with pre-colonial America and continuing through today, this beautifully illustrated book details the fascinating lives of the men and women who helped build the story of our nation. Arranged chronologically, it features more than 400 entries illustrated with lavish four-color photography and elegant illustrations. Intriguing stories and historical maps provide additional context in this comprehensive and enlightening look at America's storied past.